Wellness for the World: Breast Cancer Awareness...Really? Every time I go to my local food market this month I get asked the same thing, "Would you like to donate to breast cancer research?" Every time I reply the same, "I would love to, as soon as it is being used for cancer prevention." I also feel that it is so important to educate women on the need for self examination, how to accomplish this, risk factors and signs or symptoms of breast cancer. Our current "awareness" addresses this and for that I am thankful. But really, where is all the money going? You may be surprised at times where it is actually going but one thing you can be darned sure about, it's not prevention. Before we go on let's look at some stats. Women in the United States get breast cancer more than any other type of cancer except for skin cancer. It is second only to lung cancer as a cause of cancer death in women. 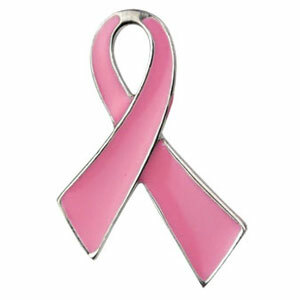 Each year it is estimated that nearly 200,000 women will be diagnosed with breast cancer and more than 40,000 will die. With this said, doesn't it make sense to focus on prevention? Instead of putting all the time, energy and money into research for after the diagnosis, how about putting some time, energy and money into teaching women how to live health lives without the fear of breast cancer? So here is my contribution to women living happy and healthy lives. Number one on my list is for women to learn to nourish themselves. More often women spend most of their lives nourishing everyone else at the expense of their own health and wellness. Take time each day to be "all about you." Eat less sugar. Sugar consumption, especially fructose, has such a detrimental effect on your body on so many levels. Work on emotional release for any built up suppressed emotional trauma. Focus on proper nutrition, right for your Nutritional ID, as nutrition plays a significant role in prevention. Add vegetable juicing as a part of your routine per your Nutritional ID. Maintain a Vitamin D level of at least 50. Be sure to get adequate amounts of vitamin A. To achieve a good ratio of your vitamin A and D the use of cod liver oil is recommended. Increase your Omega 3 Fatty Acids through supplementation as well as nutritionally. Stay away from non-fermented soy products. If you use soy, only naturally fermented such as natto, miso, tempeh and soy sauce. Drink approximately one quart of water for every 50 pounds of body weight daily. Take care of all your fundamentals of health. Assess your likelihood of gluten intolerance and eliminate this if it is an assessed challenge. Stay out from plastics in regard to food and drink and never use plastics while heating foods in the microwave. Side note: stay out of the microwave all together. Do not use birth control (the pill). Maintain a healthy gut with the use of probiotics and digestive enzymes. Following these tips will provide you with the best internal environment to maintain your health and happiness. If you have already been diagnosed, following these tips will also provide you with the natural methods needed to not just survive but to thrive. I recommend that those diagnosed to create a positive working relationship between themselves and your conventional as well as holistic practitioner. If you would like to discuss the Depke Wellness approach to preventing cancer, feel free to call for a complimentary 20 minute phone consultation at 949.954.6226. If you have any comments or questions, feel free to leave these below for me to answer personally. Thank you so much for your kind words. It is always pleasing to hear when others are enjoying our newsletter. Let's keep getting the message out to help women overall! I love this article. I would like to add one more: stay away from antiperspirants, they cause toxins to accumulate in the breast tissue. Switch to a natural deodorant instead. You are right on Leslie!